Not a poem or amazing words, just a little bit of thinking I let escape my head. shouldn't hurt as much as it does. all because no one wanted my bookstore. especially when those places aren't home. It was my safe haven. no one stared when I would jump for a book I had been waiting months for. The books outnumbered the people. The heroes and heroines of the pages protected me. I was safe within the shelves. I wish they wouldn't have taken my safety, my place. Books are such a huge part of my life, of me. I feel like when society rejects my bookstore, they're rejecting me. 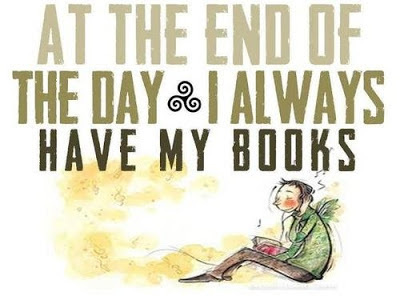 books were our common ground. They're taking that away from me. I need the printed word, the physical pages to keep me safe. I'm scared of the world. I want my bookstore back. A bookstore closing is a very sad event. :( Especially if it's an indie bookstore. I live in a very small town and the nearest bookstore is a chain store 30 minutes away, but it's definitely *my* bookstore. Beautiful poem, and I hope you find a new bookstore to frequent, even if it can't fully replace the one that closed. People need to re-embrace the printed word and help keep our brick and mortar bookstores open! I'm so sorry. I know the feeling. When I was a student, the big bookshop in the market place was my second home - it was a big chain store, but I loved it. I moved away from that town, but my sister lives near it now, and every time I see the clothes store that occupies that building now, I feel this hollow ache for all those memories and all those books that used to be there. Maybe it sounds odd - or would do to a non-reader - but it would be where I used to meet my friends, we'd mooch around the shop, buy books, then head upstairs to the coffee shop and lose ourselves in our purchases, totally ignoring each other. Yes, there are other bookshops. There are other bookshops with coffee shops inside. But I left part of my heart there. Which one? Was it a chain? Are there any other local little used bookstores? Thanks so much Kat :) You're so right, people really do need to embrace the printed word!